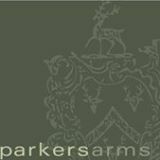 I first heard of the Parker's Arms a couple of years ago. I often chatted to chef and owner Stosie on Twitter, and my friends at the South Lancs and Ribble Valley Clandestine Cake Clubs often raved about the wonderful concoctions Stosie rustled up from the Parker's kitchen. Quite a few of my blogging friends have been over the past few months, and it had been firmly on 'the list' for some time. Then it happened. I saw a picture of an oozing, home made nata. Within ten minutes the table was booked. I am a nata fiend. Nata-chance of me missing this one (sorry). For those who think I may be high right now, the humble nata is a portuguese style custard tart; a puff pastry case filled to the brim with custard. Sunday was pretty grim. It was a grey day with an imminent threat of drizzle. 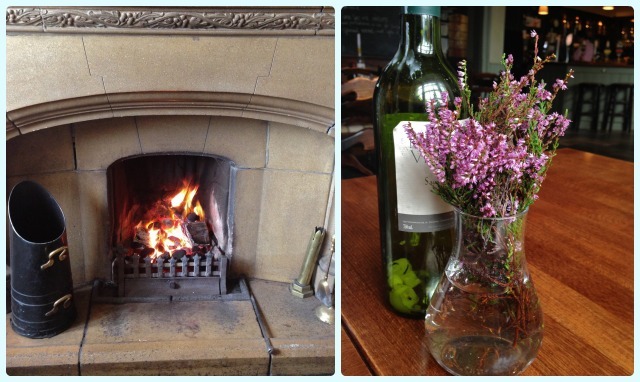 We were welcomed in by the utterly delightful AJ, who had set our table next to a roaring fire. 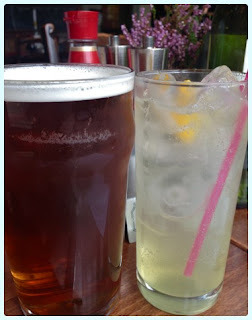 My husband picked one of the local Bowland Brewery ales and I had the home made elderflower pressé. 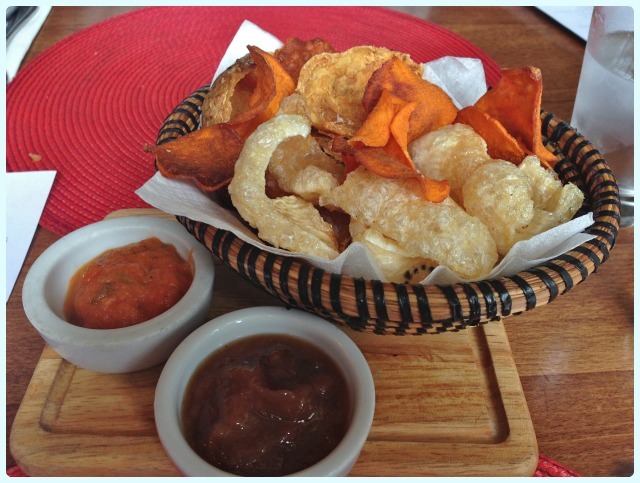 We were presented with menus, and a basket of assorted crisps was delivered to our table whilst we ummed and ahhed. These included sweet potato crisps, potato skins, pork quavers and scratchings. They were still warm and were ruddy brilliant. I could have eaten many many more of these little gems. 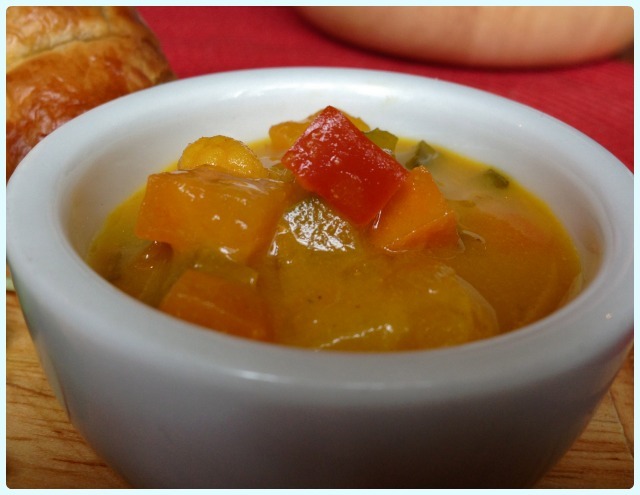 The mango chutney and home made tomato ketchup were so good we scraped the pots clean! AJ told us that the Bowland Brewery are just down the road from the Parker's Arms, and in 2011 won the SIBA Best Bitter award for the Admiral Bitter. Not bad for a small brewery from Bashall. 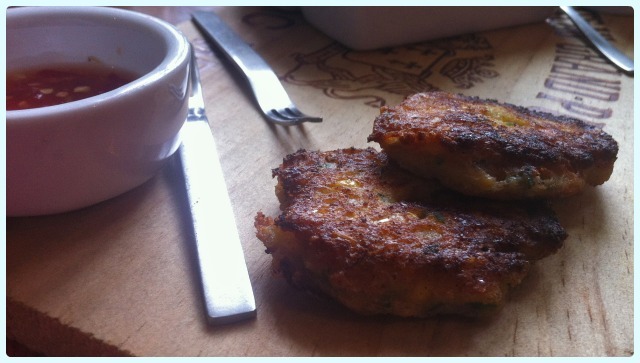 Parsley and garlic, and potato fritters: soft on the inside, crisp on the outside and hotter than Hades. Some greedy pigs tried eating these too quickly... Genius is making something incredibly simple taste so good. 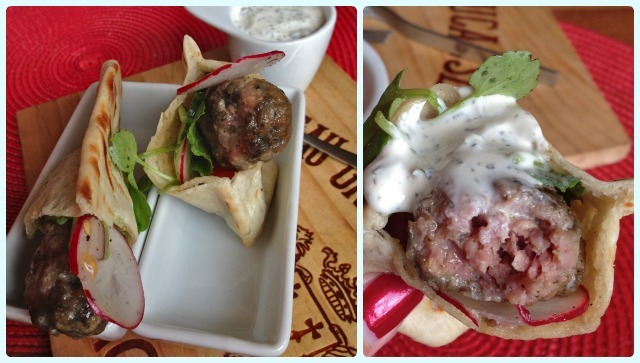 Lamb koftas in mini pittas with minted yogurt, radish and watercress: perfectly pink and beautifully spiced. They were a mini meat feast ideal for folk who had just been stuck behind twenty plus tractors for what felt like an age. Toasted sweetcorn fritters, Parker's tomato relish and watercress: crispy exteriors with flavoursome bite to the centre, paired with hot tomato relish. Lovely. 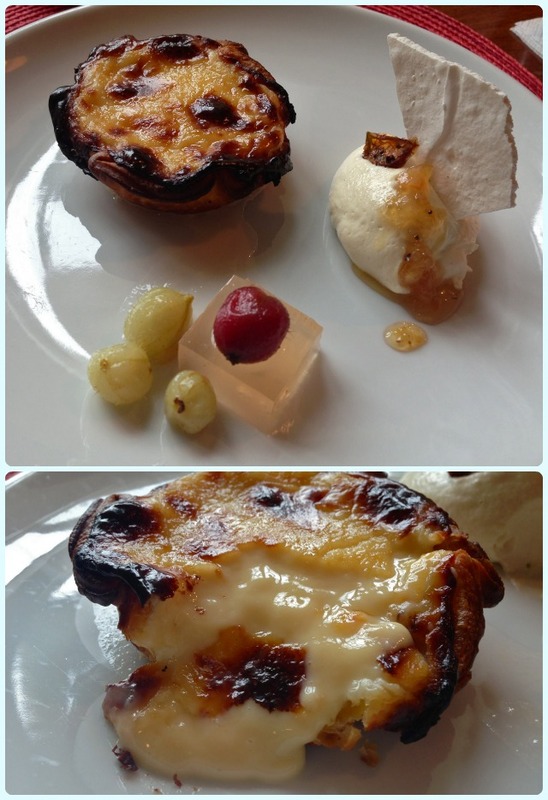 Gracie's goat's cheese with Blackpool salad on treacle bread, and brown cap mushroom parfait on chicken skin: another touch of genius. 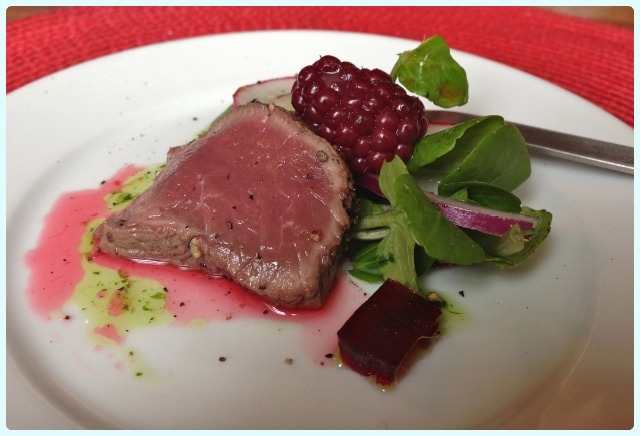 Very few elements teamed together to create a winning dish. 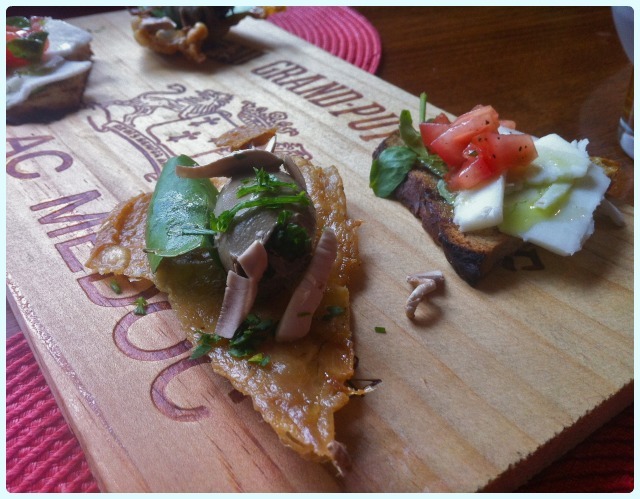 Highlights included the treacle bread and the crisp chicken skin. Peppered local estate shot venison carpaccio, blackberry jelly and pickled blackberries: we both agreed that this is one of the best dishes we have eaten so far this year. Intense meat brought to life by hot pepper and sharp vinegar. The addition of the pickled blackberry was inspired. Loved it. 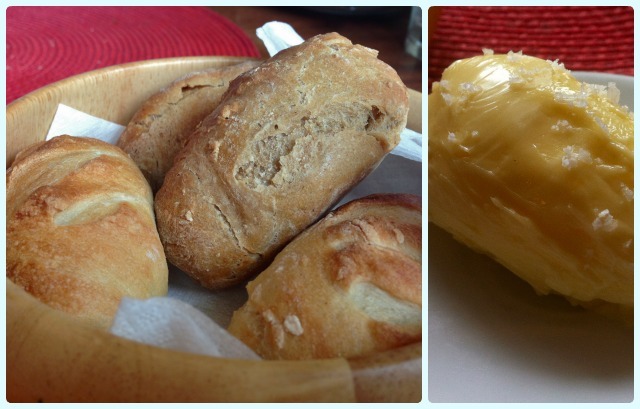 Selection of bread with salted butter: a mixture of home baked white and sourdough, these were still warm from the oven. 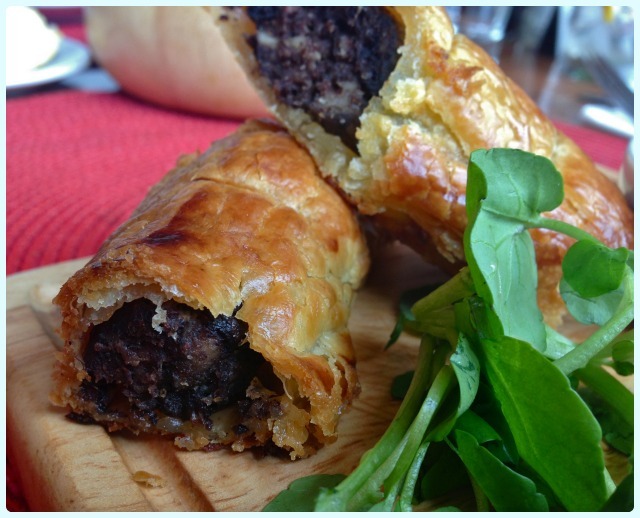 Black pudding sausage rolls with Parker's picallilli: I have a love hate relationship with pastry. I love it - it enjoys giving me raging heartburn. I often find this is caused by greasy pastry, so heartburn is a good barometer for the quality of the baked goods. No heartburn here folks. This was rich, surprisingly light, and was most definitely packed with northern charm. 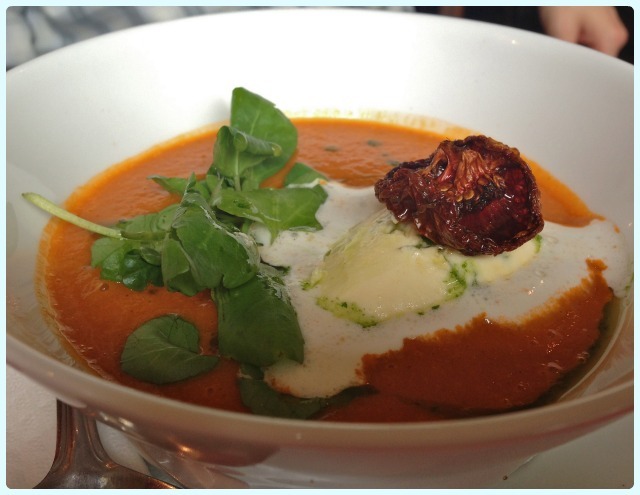 Blackpool tomato soup with parsley chantilly, candied tomato and watercress: This was thick and creamy with a healthy dollop of parsley chantilly cream. 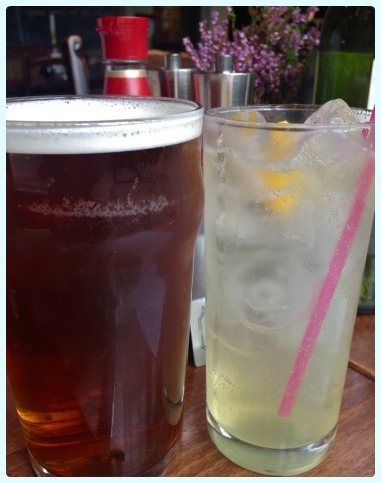 I made my husband swap so I could quaff the rest! 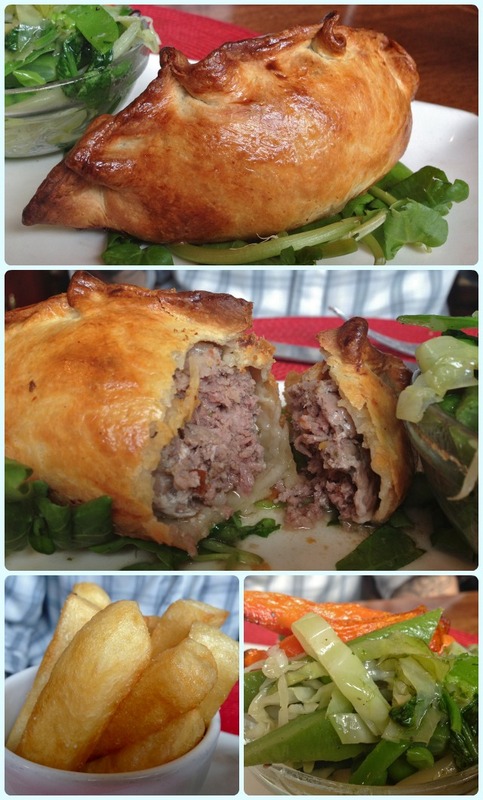 Venison and pork pasty: what a sight to behold! This was a hot water, hand raised crust packed with pork and venison. 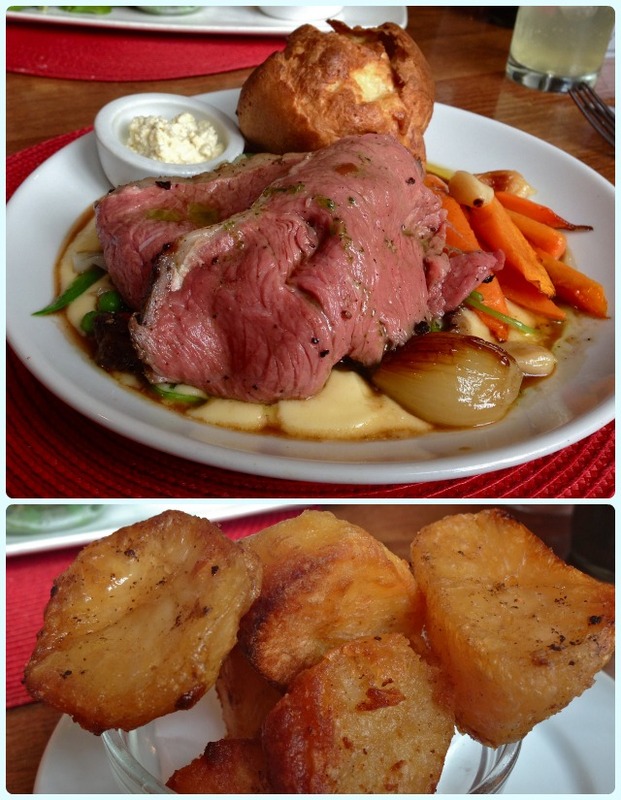 It came served with chunky chips and seasonal greens. Yes, it tasted as good as it looks. Slaidburn egg Portuguese style custard tart, Garstang gooseberries and elderflower: this was the reason I made the reservation. The pasteis de nata. This was a decent size and came served warm, so the custard centre poured onto the plate. I really like these chilled too. I just really like them. Full stop. 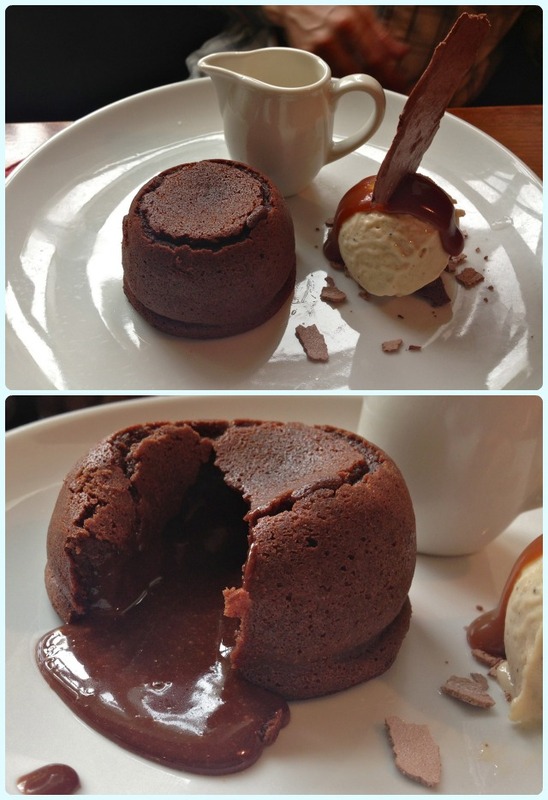 Valrhona chocolate fondant, banana ice cream, salted caramel: light as a feather with a flowing fondant centre. 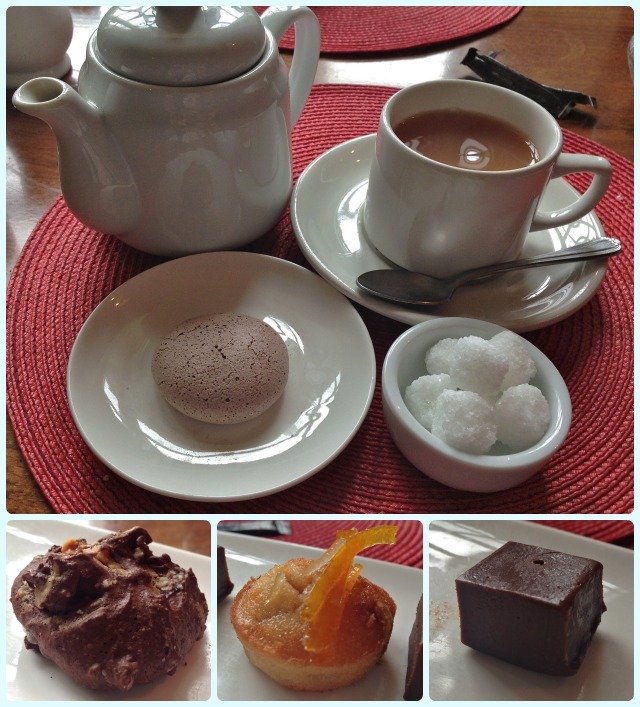 Tea, coffee and petit fours: our hot drinks came with a light chocolate biscuit and were followed with some fantastic petit fours. Fearing death by overindulgence, we powered on regardless. There was a chocolate and peanut butter cookie, a citrus friand and a chocolate truffle. We really were suffering from minor death after snaffling these. 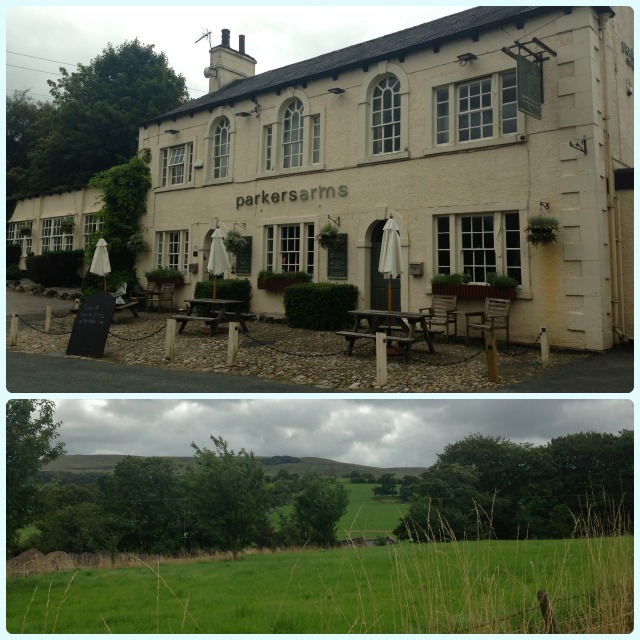 The Parker's Arms is a charming place, situated in some of the area's most beautiful countryside. I imagine the menus will get even better as the dark nights draw in and the frost begins to nip at our fingers and toes. 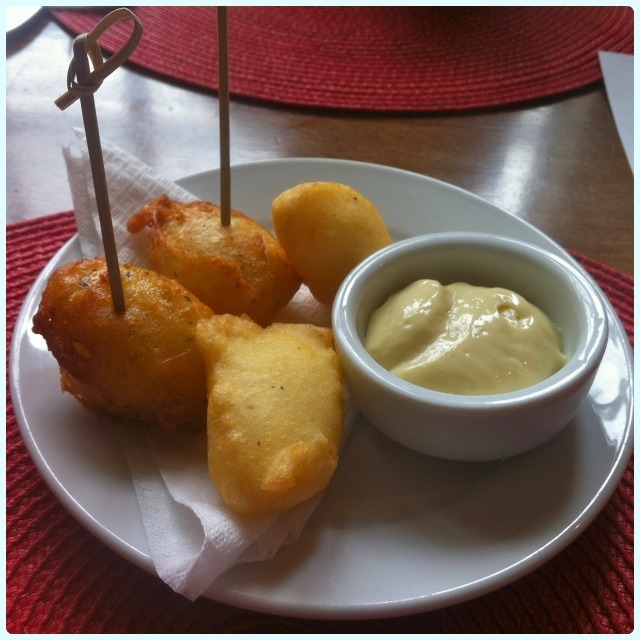 They are all about refined comfort food, but the front of house staff play their part too. Your visit will be warm, full of laughter and appreciation for the food you have eaten. You will leave with a bursting belly and with a few new friends to boot.